We make this kilt by using 100% Heavy Drill Cotton. We used 2 large cargo pockets for extra storage. 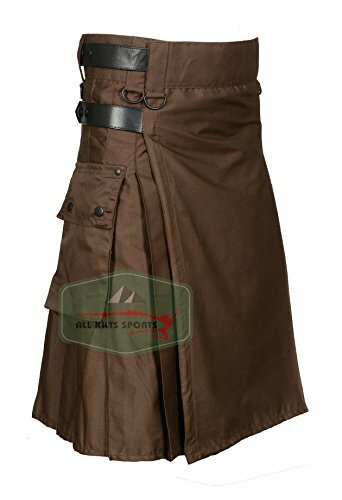 this kilt comes only 24 inch drop length. You can adjust this kilt 1.5 inch upward. Note: You can't adjust downward. If any issue you can contact us anytime we will be happy to assist you.